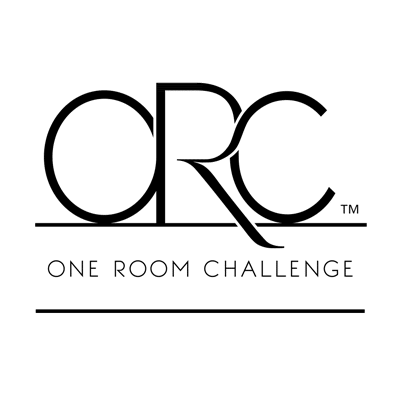 If you’re just tuning in, we’re renovating a shared room for our daughters in 6 weeks as part of the One Room Challenge! My sweet mom loves to make any object or situation instantly desirable and charming by starting a sentence with, “There’s nothing like a _____.” Insert warm cup of cocoa, fall leaves, a bowl of spaghetti, a towel right out of the dryer, lines on the floor from the vacuum, etc. 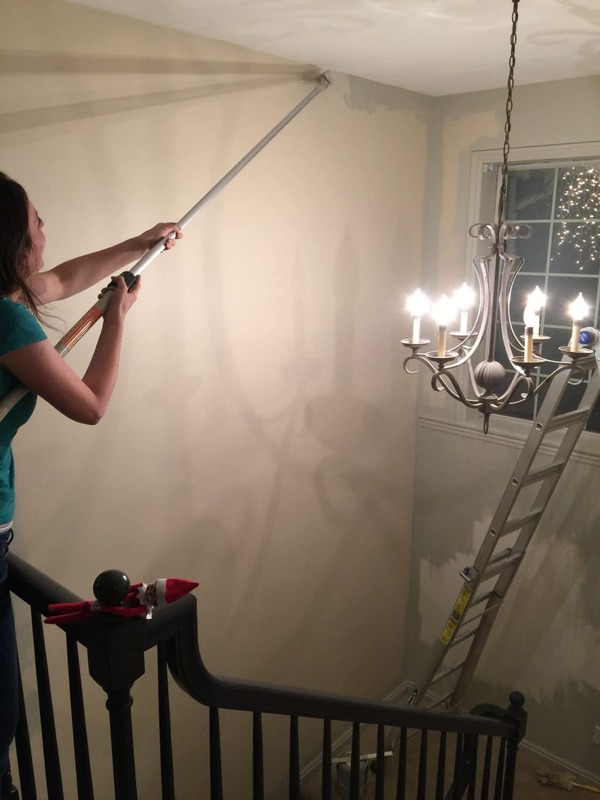 And today, I’d like to adopt her optimism, because after cracking open a couple cans of paint in the girls’ room this week, truly, there’s nothing like a fresh coat of paint to make a room feel clean, wonderful and so close to being complete. 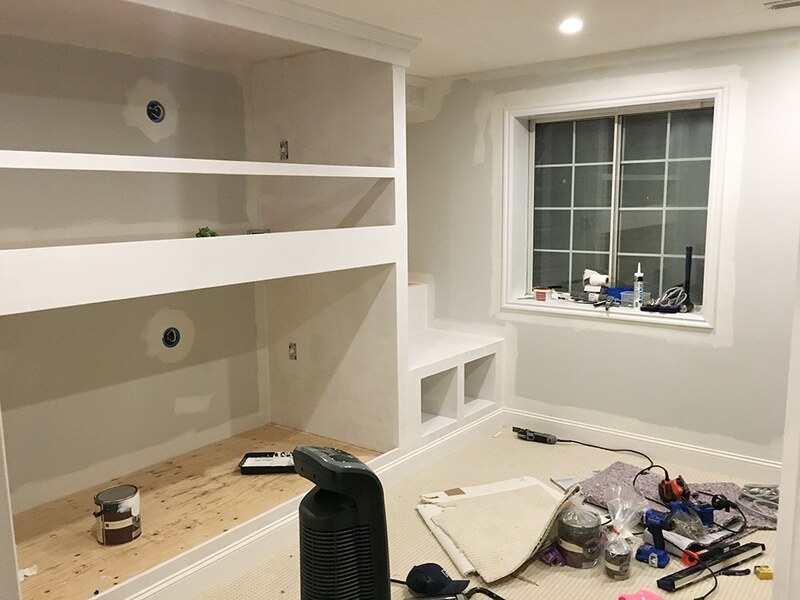 To jog your memory, below is how it used to look just a couple weeks ago after we finished building the bunkbeds, but before we built the reading nook. After a marathon of caulking, the raw wood needed to be primed before painted. 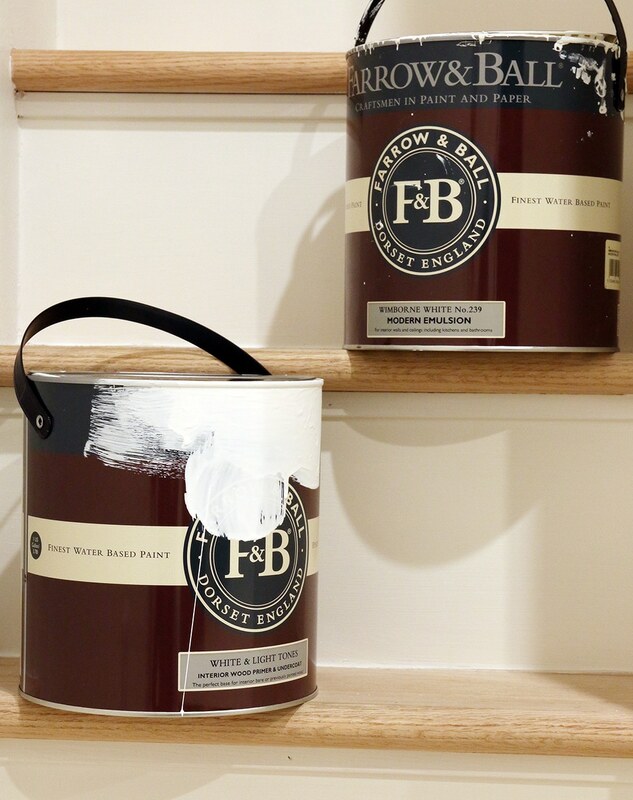 Farrow and Ball, a sponsor of the One Room Challenge, sent us the primer and paint we needed for the room. 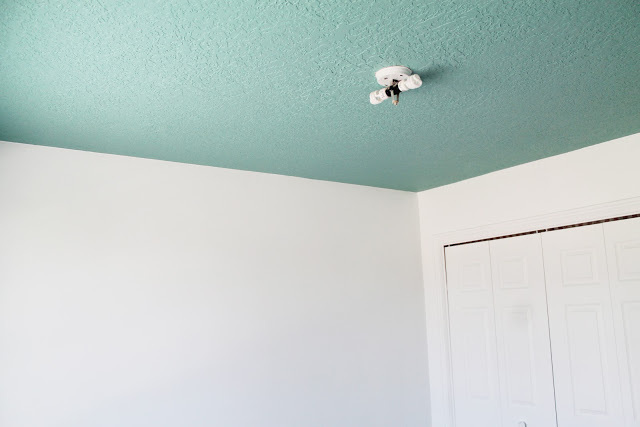 Although we have used their paint before (most recently in our home office), it was our first time using their primer and the coverage was fantastic. We’ve painted so much over the past 8 years, we definitely have figured out a system–Chris always does the rolling while I cut in–and can crank out a room pretty quickly thanks in part to just using the right tools. You can check out all of our go-to, tried and true, favorite painting supplies right here. 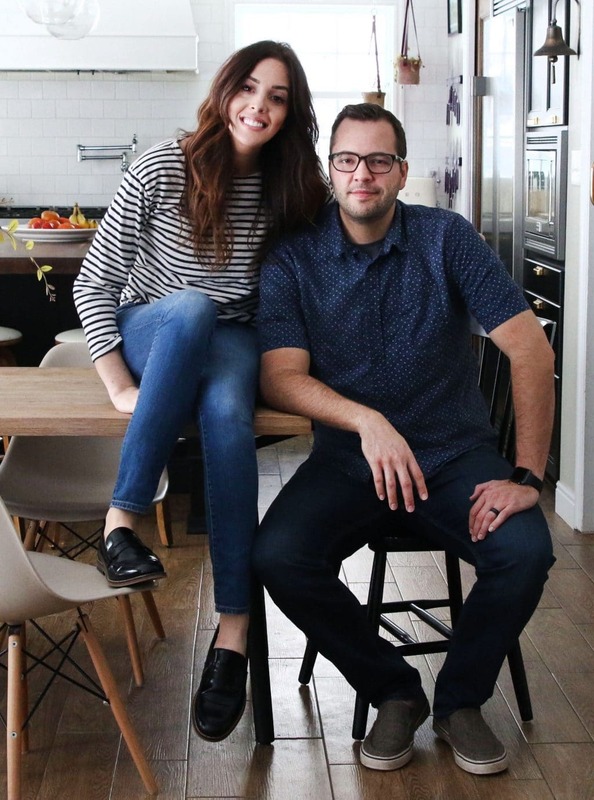 For the paint color, we decided on Farrow & Ball’s Wimborne White, a warm white that really brightened up the whole space without it feeling cold or stark. (Years ago, I ordered a free swatch card with all of their colors right here.) 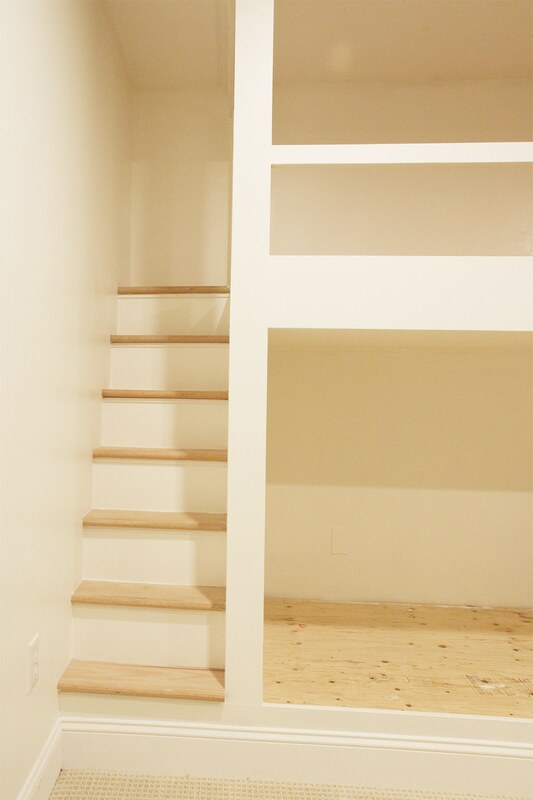 One of my favorite details is how the natural wood stair treads pop in all that white. We’ll definitely seal them before all is said and done, but I love the added warmth in that little slice of the room. 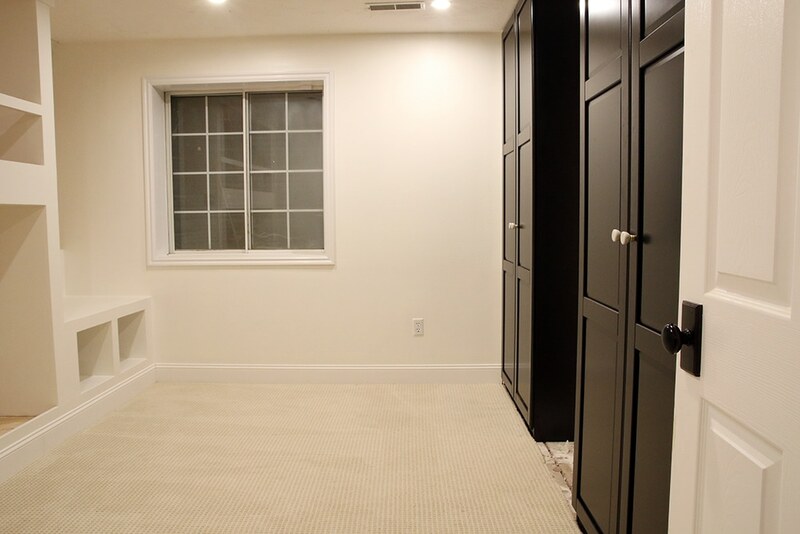 If you missed it on Instagram, we also finished up the wardrobes we shared last week and the way the rich black plays off of the soft, warm white feels just right in here. But! We’re excited to start bringing in the girls’ favorite colors before the big reveal next Wednesday. I ordered soft pink curtains and so many fun pillows and textiles. We’ll also be installing all the accent lighting over the next day or so–there is sure to be more updates before the final reveal. But, really, there’s nothing like a fresh coat of paint is there!? « All the Details on our New Horizontal Stair Railing! Painted Ceiling and Reader’s Choice: Which FLOR?! Is the Inside of Your Front Door Painted? I have had such a negative experience painting wood furniture. Despite our efforts to clean, sand, prime and use high quality paint, after a year or so the paint always begins to rub off and reveal the wood underneath, looking super trashy. You mentioned you would be sealing it. Did you mean you’ll seal the paint or the exposed wood on the stairs? If you seal the paint, please please tell me how you do it to keep it looking nice. Anywhere my kids touch their painted beds, it always wears off. :( Your project looks gorgeous! Do you use a high-quality primer? That always helps. I was just referring to sealing the stairs–something I still haven’t done! Love the contrasting colours! Can’t wait to see the reveal! Love the black cabinets with all the white! Great contrast! This looks freakin’ amazing! I’m anxiously awaiting the reveal with my cursor hanging over the Pin button. We are planning to build a house in the next few years and I already know that this will be the major inspiration for the shared bedroom in that house. Best of luck this week as everything starts to come together! I forget if you mentioned this or not, but are these beds for twin or full size mattress? I am obsessed. We are doing our boys room right now. 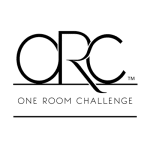 We aren’t in the challenge but it sure feels like we are HA. These are for Twins, specifically XL twins, but can be built to fit any kind of mattress really. It all looks so good! Can not wait for the reveal!!! I love your doorknobs and have been looking to replace ours with something similar to what you have. Do you mind sharing the source? I looked in the shop out house link and couldn’t see them! :) Thanks! This post has all that info, Ashley! Behold the power of paint! I love the massive buildout; you guys are such pros. The bed/nook/ stair situation is so, so good! I still can’t believe that the two of you built all of this…I mean, I can, but I’m so impressed. Looks fantastic. You are definitely keeping us in suspense here…..but I am excited to get to week 6 with you guys! you are right, paint does change everything! looks great! Of course, everything is looking incredible, Jules. I’ve said it before and I’ll say it again, you and Chris are magicians; seems like anything you put your hands on turns to pure gold, and I am on pins and needles with anticipation for next week! It looks amazing…good luck in this final week!!! I’m panicking just a little over here! 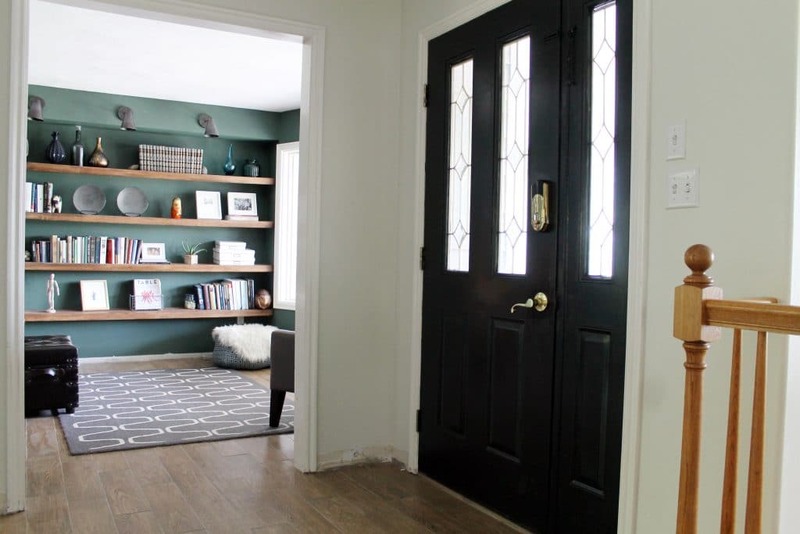 What paint sheen did you choose for the walls and for the trim? Just curious if the basement location changed your choice. For the walls I used their “modern emulsion” which is a scrubbable velvet finish. And for the trim I used an eggshell. 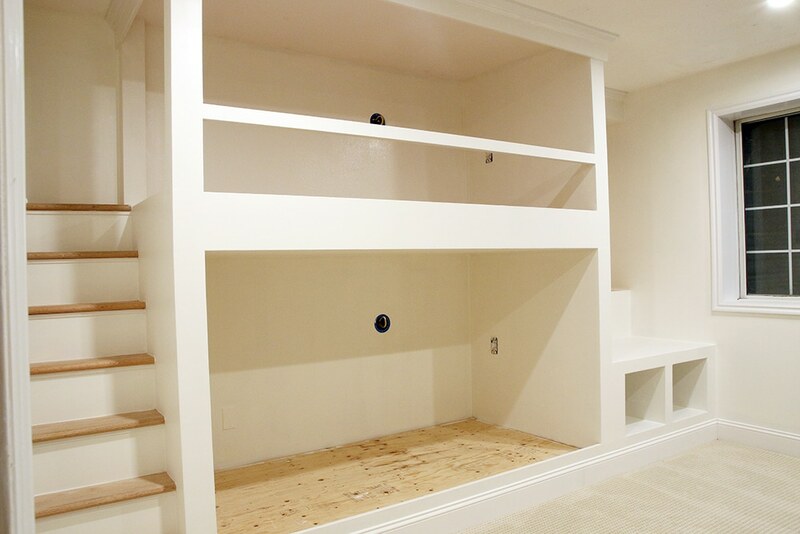 What will you do with that spot between the wardrobes where you removed the carpet? If you’re gonna put some carpet back, how are you gonna hide the seam? We’re calling in the pros to put it back in. There was a seam there to begin with that I never noticed so I’m hoping it will look just the same. Oh my goodness it’s looking ahmazing! I cannot wait for the reveal! Super cute! 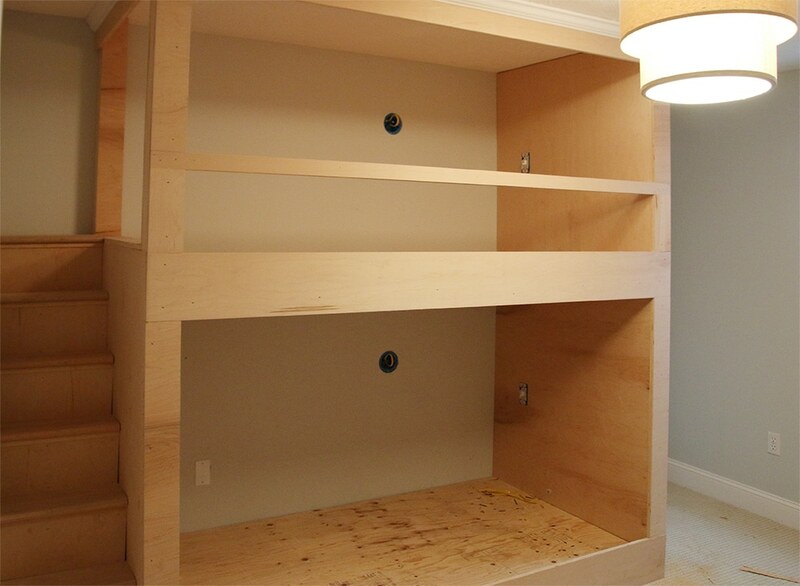 I love built-ins and your girls are going to love the cozy spaces you are creating for them. Looking foward to your reveal! !